Alex Salmond has forged an extremely successful career in the public eye. A life-long member of the SNP, Alex has been an activist, an MP (on numerous occasions), an MSP, First Minister of Scotland and he campaigned for a YES vote in the 2014 Scottish Independence Referendum. Nothing in the political world stands still for long - and Alex is currently without a Westminster seat or a Holyrood seat. This has allowed him to pursue alternative activities to keep engaged with the electorate and the political scene. 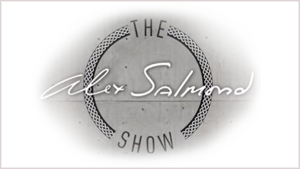 An extremely successful "chat show" format at the Edinburgh Festival in 2017 saw the potential for a TV program along similar lines - and consequently, The Alex Salmond Show was born. The show was created by a brand new production company (Slainte Mhath - Gaelic for "cheers") set up by Alex and his producer Tasmina Ahmed-Sheikh. They produced their first episode, circulated this around the masses of media outlets and eventually, RT (Russia Today) came up with the best offer. The first episode will air on Thursday, 16 November 2017 at 6.30pm and 11.30pm on RT. You can watch the show on-line or view on the following channels - Freeview SD: 234, Freeview HD: 113, Sky SD: 518, Sky HD: 512. Alex explains all in the following video. When the Scotland Act was devised and subsequently approved, the nature of any devolved powers to Scotland was agreed. Before devolution, Westminster had control of all powers. After devolution, Westminster cherry-picked the powers they maintained were necessary to provide a UK wide framework for implementation - these became known as "Reserved Powers". Instead of making an exhaustive list of the powers that were left, they simply declared that if any powers were NOT on the list of reserved powers, they would be devolved to Scotland by default. The European Union (Withdrawal) Bill, as it is currently drafted fails to reflect the principles of devolution concerning 111 recognised powers that are scheduled to be returned from Brussels. 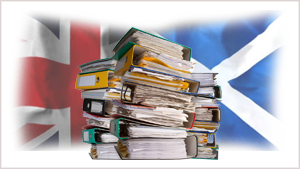 This article lists all 111 powers in alphabetical order and highlights the concerns from Westminster and Holyrood over how these powers should be allocated. At the SNP Annual Conference in October, 2017, Nicola Sturgeon confirmed the intention of the Scottish Government to create a new National Investment Bank for Scotland. The Bank is hoped to be up and running by the end of the current parliament. 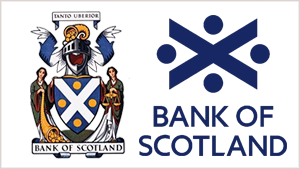 Scotland has always been at the fore front of Banking and indeed, Scottish entrepreneurs created the Bank of England and the Bank of Scotland over 300 years ago. This article outines a brief history of banking in Scotland up to the days before the banking crisis of 2007. 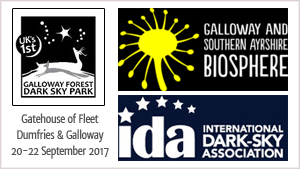 Galloway and Southern Ayrshire Biosphere, in partnership with Galloway Forest Dark Sky Park and with the support of the International Dark Skies Association have been selected to host the very first European Dark Skies Conference. The event will take place on the 20-22 September 2017. The conference will be held in one of the very best places to observe the night sky - Galloway in South West Scotland and in the heart of the UNESCO Galloway and Southern Ayrshire Biosphere. This is a world-class environment designation awarded to places that promote and demonstrate a balanced relationship between people and nature. Light pollution refers to the effect of light on the visual environment during the hours of darkness. The majority of this light pollution is from urban sources such as street lights, dwellings, office blocks, municipal buildings and factories. 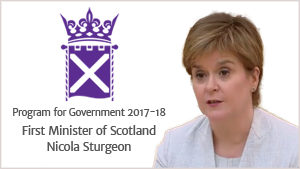 In this video (and full transcript) Scotland's First Minister Nicola Sturgeon delivers a speech that sets out the Scottish Government's Programme for Government for 2017-18. She states that it was time for the Scottish government to "refocus our efforts and refresh our agenda" after a decade in power and highlights 16 bills that will be brought forward. The UK National Debt is currently increasing by an average of £5,170 per second. Where does Scotland get its money from? Do you know about The McCrone Report?